Sinn Féin today selected candidates to contest five of six Cork City wards and the Blarney LEA in next year’s local elections. The candidates are: Henry Cremin (Cork City South West); Cllr Jonathan O’Brien (Cork City North West); Thomas Gould (Cork City North Central); Cllr Fiona Kerins (Cork City South Central); Ken Ahern (Cork City South East); John Stanton (Blarney LEA). Henry Cremin is the Sinn Féin candidate for Cork City South West. A resident of Leesdale Estate on the Model Farm Road, Henry is a longstanding Sinn Féin activist. At the previous local elections in 2004 he polled over 1,000 first preferences and came close to taking a seat. Henry is chairperson of the Leesdale Residents Association and a member of SIPTU. He sees the provision of youth facilities, a more accountable planning system and a greater emphasis on community policing to tackle anti-social behaviour as key priorities. Ken Ahern is the Sinn Féin candidate for Cork City South East. Ken (28) is a final year student at UCC studying Government and Public Policy. A Mahon native he is a board member of the Mahon Community Association and has a background in community and voluntary work. Ken was been chairperson of the Martin Hurson Sinn Féin Cumann in UCC which won the award for best political society in the college two years running. Thomas Gould is contesting the Cork City North Central ward on behalf of Sinn Féin. A resident of Cathedral Road, Tommy is married to Michelle and has one child. Tommy is a development officer with St.Vincent's GAA club and is the club’s delegate to the county board. Tommy has been a youth leader with Foróige and is a former director of the Knocknaheeney youth centre. He believes jobs and healthcare are two of the two most important issues for the Northside of the city. Cllr Jonathan O’Brien is standing for Sinn Fein in the Cork City North West ward. Jonathan (36) lives in Farranree. He is married to Gillian and has four children. 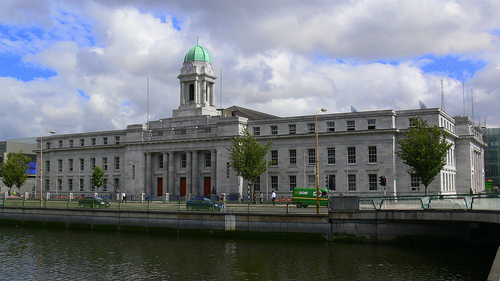 A member of Cork City Council since 2000, he topped the poll in North West in 2004. Jonathan is an avid fan of Cork City FC and is heavily involved in the campaign to secure the future of the club. Issues he has pursued on the council in recent include worker’s rights, under-aged drinking, the growing problem of heroin in the city, and calls for increased investment in social housing and a transparent waiting list. Cllr Fiona Kerins is the Sinn Féin candidate Cork City South Central ward. Fiona is a native of Ballyphehane. She attended Presentation Secondary School before completing a Diploma in Legal and business Studies at Colaiste Stiofán Naofa. She now works in administration in the Radiotherapy Unit at Cork University Hospital. A member of Sinn Féin since 2002, Fiona stood for the party in the Cork South Central ward in the 2004 local elections, missing out on a seat by only 34 votes. In July 2006, she was co-opted to Cork City Council to fill the vacancy arising from the death of Cllr Con O’Connell. John Stanton is the Sinn Fein candidate for the Blarney electoral area. Originally from Blackpool, now lives at Gleann na Ri in Tower. John polled over 1,100 votes for Sinn Fein in the Blarney area in 2004. A keen follower of Gaelic Games, he played hurling both with the North Mon., where he was educated, and at senior level with Glen Rovers. John has been an active member of Sinn Fein since 2003, and is a founder of the Barrett/McCurtain Cumann in Blarney. He sees improved facilities for young people, measures to tackle anti-social behaviour, and greater investment in public transport as key issues to be addressed.